The smoky eye continues to flourish on the runways, on the red carpet and in real life. And what better way to accomplish it than with pewter eye makeup? 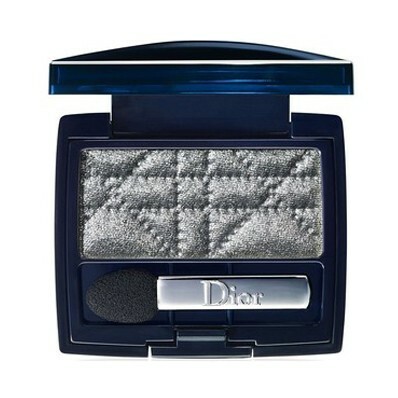 This color is showing up in everything from liners to shadows, like the gorgeous Dior 1-Couleur Powder Mono Eyeshadow in Silver Dust above. But it's not just eye makeup! No, it's popped up in nail polish too. Worried about pairing your silver nails with gold jewelry? 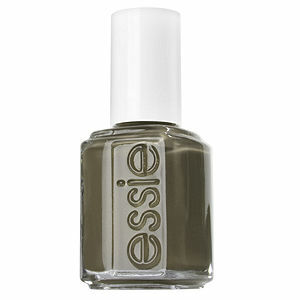 Well, never fear -- this polish contains some gold flecks that make it okay to wear with anything! Be sure to keep your nails short so the color doesn't overpower your hands. I have talked about this color ad nauseum. And I must say that I really, really like it! There's an intense amount of shimmer packed into the small bottle that just makes nails look unbelievable ... not to mention it lasts for over a week with minimal chipping!